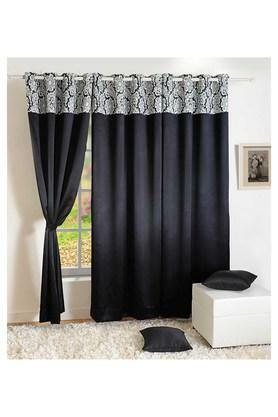 Featuring a beautiful printed pattern, this door curtain will enhance the interior decor of your living room from Swayam. The use of superior quality faux silk lends it a good finish as well as makes it easy to maintain. Size - 121 X 228 cms. Add a nice finishing touch to your home decor with this door curtain.